Mount Prospect is a community-driven village, as its motto describe, located just 22 miles northwest of Chicago. 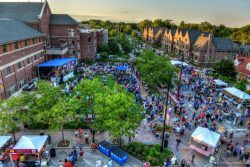 A great family-friendly community, Mount Prospect has a number of park districts serving its residents, as well as a number of distinct and award-winning school districts. In fact, Mount Prospect was once voted by Bloomberg as the best place to raise children. Some local and community favorite activities nearby include the Busse Woods Trail System, Arlington Park, AMC Randhurst 12, Metropolis Performing Arts Centre, The Grove, Adventure Playland, Brunswick Zone, and Bar 145. Mount Prospect is also home to one of the three campuses of ITT Technical Institute. A fun fact about Mount Prospect is that the car the Blue Brothers ride in the 1980 film The Blues Brothers is said to have been bought at an auction from the Mount Prospect Police Department. Howl2GO by Howl at the Moon is the premier name in Dueling Piano entertainment. Bring our incredible performance to your event in Mount Prospect at any venue. When you bring Howl2GO to Mount Prospect, you can be certain you’re getting the true Howl at the Moon experience, and with that comes the assurance you are booking only the best dueling piano performers in the country. Our fun, energetic performers are perfect for all events anywhere in the Mount Prospect area. We specialize in all types of events, anywhere in the Mount Prospect area company parties, wedding receptions, charity fundraisers or house parties are all made more fun by bringing Howl2GO by Howl at the Moon. We tailor every single show to you and your guests, playing music for all ages. Fundraising for churches, schools or your chosen cause is perfect for our show – plus advertising that you have Howl at the Moon performing is a huge draw in the Mount Prospect community. Howl2GO is the only dedicated Dueling Pianos company in Mount Prospect and our team works tirelessly to ensure your event is perfect. Our production team will deal directly with your Mount Prospect venue and, in conjunction with our Wedding Specialist, sales director and our amazing piano players, create a customized event just for you. Our Howl at the Moon musicians will take you guests’ requests live just as they do in one of our many nationwide venues. 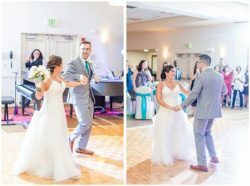 We are a perfect choice for your wedding – we keep numerous couples in Mount Prospect and their guests dancing all night, as well as taking care of all your ceremony, announcements and special family dance needs. Don’t risk booking a local fly-by-night company that may not even still be in business when your wedding date comes around, nor one that hires freelance players. Howl at the Moon has been rocking since 1990 and our reputation precedes us. We have a dedicated reviews page so you can read testimonials from hundreds of our thrilled clients in Mount Prospect. Our Facebook page features regular updates, and following us on Instagram and Twitter means you’ll stay up to date on where we’re playing next near Mount Prospect IL.